Thank you for your interest in Eclipse Travel. We’re happy to work with any agency or agency group and have a variety of wholesale structures in place. 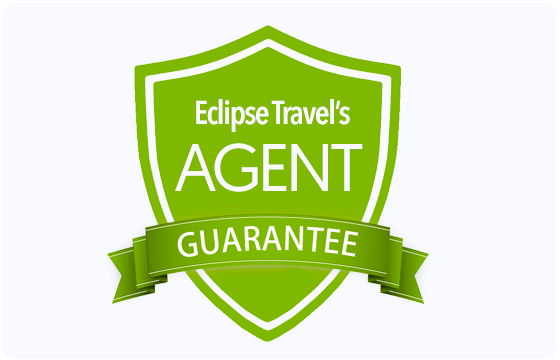 If you are not currently subscribed as an Eclipse Travel agent, simply register and we will send you the details. At Eclipse Travel, we value our travel agency partnerships and do everything within our power to nurture them into mutually beneficial relationships. We offer a collection of excellent itineraries covering all areas from Mexico and Cuba as far south as Argentina and Chile. Your clients can choose from our packaged small group trips or we can easily design a personalised itinerary that’s a perfect fit for their interests, dates and budget. For the Galapagos Islands, we have the largest range of cruises available in Australia and New Zealand, in a simple search by date and budget format, so you and your clients can peruse the options, or call us for our in-depth knowledge of each ship. The vastness and variety Africa has to offer makes it synonymous with adventure. It can also be challenging to know where to start with your clients’ travel plans. We give a fresh perspective on Africa, regularly sending our staff on famils to make sure we have the most up to date and relevant information on what is available. We have a large range of small group tours, or we can tailor the perfect itinerary to suit your clients’ requirements. As polar specialists, we also offer Australasia’s best range of small ship expedition cruising in the Arctic and Antarctic regions. Our exclusive, state of the art website enables you to quickly locate the best trips and specials for your clients, giving your business a key competitive edge. Our team has been lucky enough to travel or live in all the destinations we offer and are therefore well placed to offer the specialist advice you require to convert bookings. We go to great lengths to find staff who really understand the destinations we sell, as well as offering superior advice and service to our valued agents. We’re confident our pricing is very competitive and great value for money. We always offer extra surprise inclusions or upgrades to ensure your clients return with positive reviews and tell their friends and families. Anything on our website is commissionable to you. For our packaged programs, we offer you a very competitive commission structure depending on your commitment to working with us. For tailor-made travel, we believe our agents know their clients better than us so we generally offer nett pricing, but can also offer proposals with gross pricing if you prefer. Unlike many wholesalers, we don’t charge currency surcharges. Once your deposit has been paid that price is guaranteed, regardless of what happens with exchange rates. Terms and Conditions apply. At Eclipse Travel, we know our support is important to you throughout the booking process and importantly, whilst your clients are travelling. We offer 7 days per week phone support within Australia and New Zealand to answer any queries that you may have. In addition, whilst your clients are on the road they will enjoy the support of our regional offices and be provided with their 24 hour emergency numbers. We can provide all the backup, training and experience to help you grow your business and can assist with joint marketing of any campaign or group travel including our products. We are happy to discuss any opportunity for joint client information evenings and can facilitate webinars too – just get in touch with us to discuss. We understand how important it is for you to maintain your own independent brand so for tailor-made travel we can offer flyers, quotes, confirmed itineraries and vouchers with your branding. If you would like to feature our tours and cruises on your website with your branding, give us a call to discuss your unique requirements. As well as land operations, we also have wholesale agreements with airlines so can pass extra savings over to you and your clients.